NatWest bank has frozen the accounts of Russia’s state-run broadcaster RT, its editor-in-chief says. RT says the bank gave no explanation for its decision. 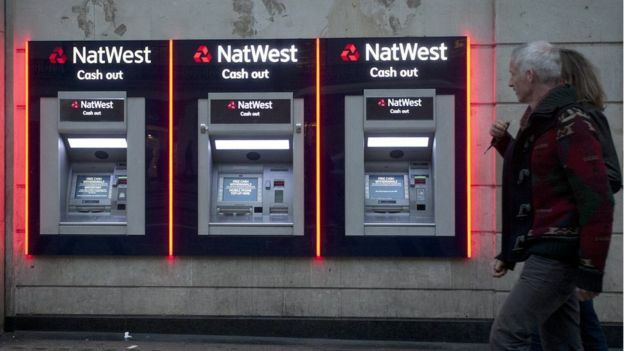 It said the entire Royal Bank of Scotland Group, of which NatWest is part, was refusing to service RT. A letter posted online by the channel appears to show that the freeze is not in effect yet. It warns that banking facilities will be “cancelled and closed” on 12 December. Ms Simonyan said the closure included the personal accounts of some senior RT staff working in the UK. She told Russian state media: “They haven’t explained the reasons and I think they can’t explain them because there can’t be any reasons. We have an absolutely transparent operation there, absolutely transparent funding. There have never been any complaints in this regard at all. RT, which is run by the Kremlin, has previously been sanctioned by UK broadcasting regulator Ofcom for biased reporting. This included claims that the BBC “staged” a chemical weapons attack for a news report on Syria. The BBC won a case against the TV channel after complaining to Ofcom, saying the allegations made in a programme called The Truthseeker were false and struck “at the heart” of its obligations to accuracy and impartiality. Ofcom ruled that elements of the programme were “materially misleading”. 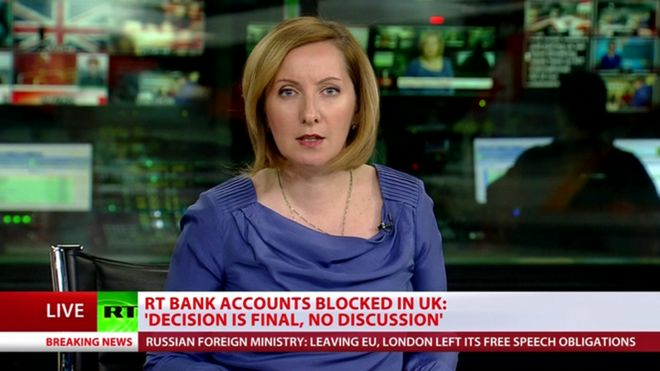 Russian media outlets have made inroads into the UK recently. The state-funded Sputnik news agency set up in Edinburgh in August to broadcast live radio programmes from Scotland. It said its goal was “telling the untold” to Scottish and UK audiences, although critics say it will act as a Kremlin mouthpiece.